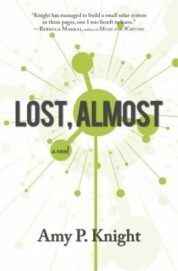 The skill of a scientist and the gentle impressions of a keen observer meld in Amy P. Knight's absorbing debut Lost, Almost (Engine Books, $14.95). Selected as winner of the Engine Books Fiction Prize by Rebecca Makkai, Knight's novel tells the story of the very singular Adam Brooks, a physicist whose ambition alternately builds up and destroys those closest to him. Sometimes viewed through a microscope, sometimes a telescope, these characters' lives are explored with fascination and determination. 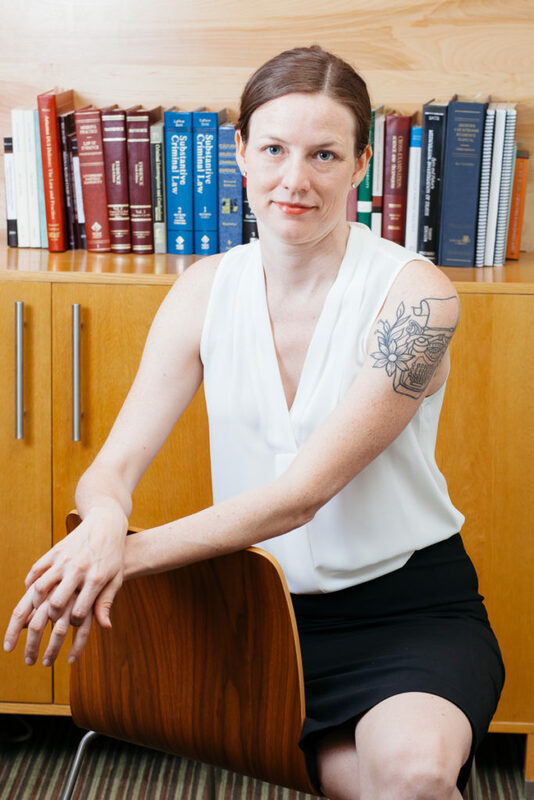 I spoke with Knight this spring about the novel’s structure, settings, and points of view, as well as its author’s background in neuroscience and law. Erin Lewenauer: Lost, Almost in places feels like a series of linked stories. Is this how it began? Amy P. Knight: Sort of. It started out as a single story (which became the last chapter in the book), and then for a while it was two stories. Once it expanded beyond the two stories, I started to have a sense of an overarching timeline and arc, and that’s when I really started to conceive of it as a novel. I never conceived of the pieces developed later as stand-alone stories, even though many of them are in some ways self-contained. EL: You have degrees in Cognitive Science, English, Creative Writing, and Law. Do you bring all your interests together when you write? Does working as a lawyer each day affect your writing? APK: It’s definitely all connected. In the big picture, all of these fields are about understanding how people work, and figuring out new ways to explore and explain that. My specialty as a lawyer is death penalty defense, and a lot of the work that goes into that involves constructing narratives about who the people involved really are, and how they got to be that way. Writing fiction is good training for that—and vice versa. And of course, a good deal of the work that lawyers do is writing. That cuts both ways; I certainly stay in practice with the careful use of language, but it can also be immensely difficult to come home from a whole day spent writing a legal brief and then try to write fiction. That’s why I usually try to write for a while in the morning before I go to work. EL: Your book orbits around brilliant physicist Adam Brooks and his family. Do you think brilliance/genius is isolating or at odds with forming relationships? And do you view high intelligence as a weakness or a strength? APK: I think brilliance can be isolating. Almost by definition it involves going places alone—thinking thoughts no one has thought before. But it doesn’t have to be. Brilliant people can collaborate, or share their experiences with others, often to great effect. For Adam, isolation comes through a combination of brilliance, a job that requires utmost confidentiality, and his own personality. He is really driven and focused on one aspect of his own life and success—a quality I think is adjacent to, but not the same as, brilliance. He is of course highly intelligent in a lot of ways, but in other ways he’s clueless. There’s more than one way to be an intelligent person. EL: Your book is set in various locations and you’ve lived many places. What appeals to you about the desert, the east coast, etc., and do all the places you’ve lived play into this novel? APK: I’ve lived places that don’t make any appearance in the novel; for instance, I spent about two years in Montana (where I actually did a lot of the writing). That never enters in. I also went to college in New York state, and law school in the San Francisco Bay Area; the book contains a brief mention that Charlotte went to college in New York and law school in California, but that’s the extent of it. Right now, I live in Tucson, in the desert, and I plan to stay here for the indefinite future. I really like the desert. It’s beautiful, with mountains all around, and it continues to amaze me that things can grow here. We get the most incredible blooms in the summer when it rains. Much of the story is set in the New Mexico desert, and one scene in the Nevada desert; those locations were originally chosen, in terms of the historical events I write about, for their remoteness. I think the desert always retains some of that feeling, even though there are a million people here in Pima County now. EL: What was it like writing child versus adult perspectives? APK: I always struggle with writing children. I don’t have children, or really spend any time with them, and I often have trouble relating to children when I do encounter them in the real world. Often when I read fiction with children as characters I find it overly precious, or unoriginal; it’s really hard to write characters that feel authentically childlike but still genuinely engaging to adults. For this book, add on the layer that they are for the most part rather extraordinary children, and it was even harder. Of course, in some parts of the book, the children are the only sane and reasonable ones. Years later, she would tell him that she had taken “atom” for his own name, Adam, that she thought he had been split in his mind, painfully divided in his heart between sharing her sorrow and joining the celebrations, and yes, these things are swirling around him, a nation split between victory and shame, caricatures of horn-blowing and hand-wringing, noise and high emotion and tears of every kind, but Adam is not a part of any of this. It riots around him as though he is a big steel bolt holding the spinning carousel to the earth. What was your primary focus when writing, the characters or the themes you were interested in exploring? APK: I definitely view it as character-driven. That’s my favorite kind of fiction to read, so that’s what I wanted to write. Themes certainly made their way into it—I am interested, for instance, in the role of our work in our lives, and in the degree to which we are obligated to use our gifts in certain ways. But it always has to be about the people for me, not the ideas. In fact, there was a whole section I worked on for years that started out as a concept rather than an authentic display of character, and I ended up cutting it. It just didn’t have the same life to it. EL: You chose for the book an epigraph from John Milton’s Paradise Lost: “How art thou lost, how on a sudden lost, Defac’t, deflow’r’d, and now to Death devote?” Do you think the experience of studying or being immersed in science is a paradise lost? Or is the paradise lost that of childhood versus adulthood? Or none of the above? APK: In Paradise Lost, that passage is talking about Eve, after she eats from the tree of knowledge. I was thinking two things when I chose that epigraph. First, I think of the idea that mankind, in inventing nuclear weapons, has “eaten the apple.” We might’ve had a good reason for doing it (did we?) but in the 1940s, we peeked behind the curtain and things have never been the same. We can’t go back. I also think the characters who give up really worthwhile things in their lives in the service of their work (and there are several of them) have, in some ways, fallen. EL: Who do you view as the heroes or heroines of your story? APK: It’s hard to choose one, in a book with an ensemble cast like this one. In some ways Adam is “our hero,” of course—but he’s an anti-hero at the same time. I’ve always had particular admiration for Ben, Adam’s grandson. He has a very different kind of heroism; he’s the only one in the family who manages to break free from Adam’s grip. It could be that that’s just how he’s built—it’s not really heroism because he has no choice—but he does it, and he survives. The very fact that he feels he has no choice could be what makes him heroic. EL: The inevitable question . . . what’s next? APK: I’m working on a new novel. I don’t want to say too much about it—that’s the best way to jinx a new project. But it’s going to be quite different from Lost, Almost. It’s not, for instance, historical or science-driven. I started Lost, Almost when I was in an MFA program, and wrote a lot of it in law school and while I had a job that was a little less demanding than the one I have now. These days I’m definitely doing more “squeezing in” of my drafting time than I had to do with the last book, but it’s getting there, slow and steady. This entry was posted in Uncategorized and tagged Summer 2018 on August 9, 2018 by Kelly.